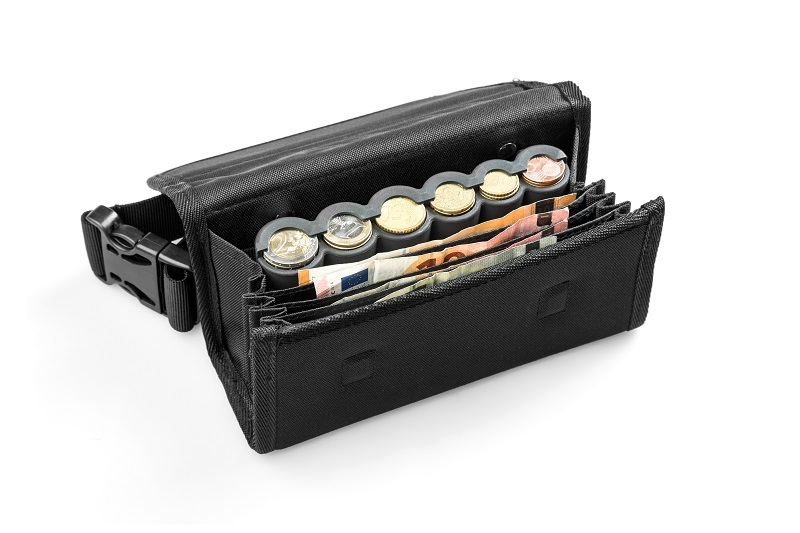 A professional money pouch with special designed coin holder is ideal for cash payment transactions. 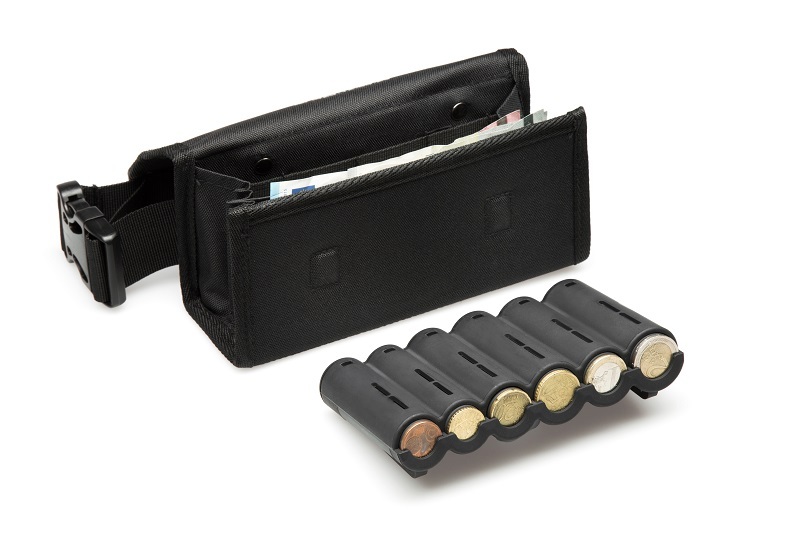 The coin holder is a cartridge supported by loaded spring mechanism for the eight types of euro coins which help to take out the euro coins and keep them sorted all the time. It stores coins and notes very easily, so that it help waiters, barmen, drivers saving much time for charges.